AHEA Alberta Home Education Association AHEA is committed to helping people traditionally homeschool their children. On our site you can find resources to help you with that goal, as well as all our recent Home Matters magazine issues, listings of the support groups in your area, and more. AHEPS Alberta Home Education Parents Society Alberta Home Education Parents Society (AHEPS) is a democratically-run, inclusive home learner advocacy group representing home education families of Alberta. We advocate for individualized education that meets the child’s needs and interests. We advocate for the child/youth’s rights to learn in any way that best meets their needs, as well as the caregivers’ rights to choose their means of education. We embrace the diversity of home education families, and support people of all family shapes, program choices, abilities, socio-economic statuses, religions and non-religions, ethnicities and cultures, ages, sexual orientations and genders. We strive to be 100% inclusive. AHEPS is dedicated to our members and is working with the Alberta Government to ensure that changes to home education laws and policies reflect our members’ needs. We strive to provide insight to stakeholders as to the realities of home education it its infinite forms. AHA Alberta Homeschooling Association Alberta Homeschooling offers support, information and advocacy in order to grow homeschooling in the Province of Alberta. Alberta Homeschooling advocates for equitable, sustainable funding and reduced regulation. We believe that teachers are education professionals in the classroom and parents are educational professionals in the home. We are a grassroots community that runs on donations and fund-raising. We don’t need a lot of money to get things done. To become a member, just sign up for our newsletter. You will be anonymous and not be listed on a facebook group. We will keep you posted on government updates and changes in the homeschooling landscape. We are inclusive and welcome anyone interested in homeschooling or learning more about this exciting, growing educational alternative. Calgary Board of Education Homeschooling CBE Homeschooling, provides families with full access to the school for all of their home education supports and programs. There are many opportunities to work with parents and students both in parent-directed and blended program options. Calgary Home Schooling Resources The purpose of this website is to help new homeschoolers get started, and to help all Calgary area home schoolers find more resources. Home Learning Society of Alberta We are a non-profit society, based in Edmonton and area that provides information and support to families that have children learning at home and in the community. We welcome families of ALL lifestyles, learning styles, ethnic and religious backgrounds. We support education choices for children and adults. We help put home-based learners in touch with each other. Events, activities and field trips are created by member families throughout the year. Home School Christian Fellowship HSCF is a Christian homeschool parent support group serving the City of Edmonton (Alberta) and surrounding area. We are here to offer Christian resources & support to parents as we take this journey together. Being part of a parent support group can give you the insight & knowledge of other homeschoolers and provide encouragement along the way. Come to be blessed and to be a blessing to others! Alberta Highschool Homeschoolers This list is for parents of Alberta highschool homeschoolers (teens are welcome too, of course!). We will discuss the special challenges of homeschooling through the highschool years. Relevant to all Alberta residents. Calgary’s Christian Homeschoolers This is a group for Christian parents from in and around Calgary who want to support and pray for each other and discuss issues that relate to Christian Homeschooling. Calgary Homeschoolers This is an email list for Calgary and area home schoolers to talk about whatever they feel like talking about, with subjects ranging from home schooling philosophies to the weather. We talk about field trips, social times, and seasonal parties. We discuss curriculum and school boards while debating the provincial rules & regs. We have people who are considering homeschooling and seasoned homeschoolers who are happy to provide advice. We welcome home schoolers of any faith, method, or interest. Membership is restricted to home schooling parents and those considering home schooling. Calgary Homeschool Preschool This is a list for parents who are considering homeschooling, or are homeschooling children before they are registered through Alberta Learning. Parents live in or around Calgary, Alberta and are interested in ideas and support as they un-preschool or pre-homeschool their child who are not yet of school age (under 6 years old). Parents of homeschool Kindergarten and Preschool aged children can meet here to discuss all aspects of homeschooling their children. Kindergarten is voluntary in the Province of Alberta, and is a wonderful time for families to explore and discover together. Calgary HS Special Kids A Calgary group for families who are (or thinking of) homeschooling special needs children. Calgary Homeschool Teen Events The Teen Events List is for Calgary and area “homeschooled teens”, ages 12 and up, to plan field trips, activities, chat, etc. Parents are welcome to join, to offer ideas, support, and opportunities. Members of this list are encouraged to post ideas for field trips and/or to organize them. Your help is very much appreciated!!!! Don’t forget to add your email address to your announcement, so that people can contact you for information and to register! Central Alberta – Home School Activities This group was created so that home educators in the Central Alberta area would have a place to connect in order to organize and participate in activities for both parents and children in support of their home learning activities. Edmonton, Alberta and Area Homeschoolers This is a very active and entertaining list for Edmonton area homeschoolers. We gather to discuss events and issues pertinent to homeschooling lives. We welcome local people of all approaches & philosophies to join us. We request that all posts of a commercial nature are approved by the moderator before being posted to the group. Membership is restricted to parents who homeschool in the Edmonton area. To ask for an exception, please contact the moderator directly. Home Educators of St. Albert and Area Home Educators of St.Albert and Area is a support group for families choosing to Home Educate their children. Home Learning Support – Central Alberta Welcome to the HOME LEARNING SUPPORT-CENTRAL ALBERTA group, a parent led support group for families educating at home in Central Alberta. 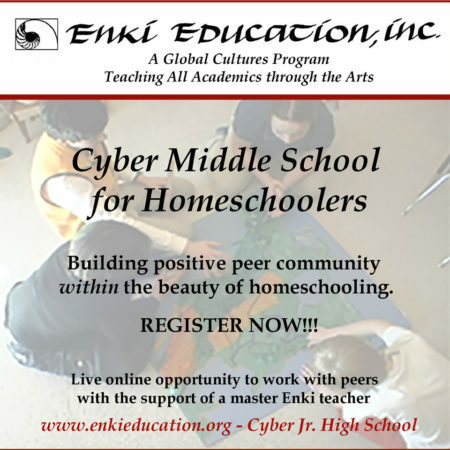 Here you can connect online with other homeschool families to discuss curriculum options, school board options, learning methods and family life in general. Homeschool Calgary Primarily for activities, workshops and programs of interest to the homeschool community (grades 1-12) in Calgary and surrounding area. Homeschooling the High School Years – Alberta, Canada This is a group for parents who are homeschooling in Alberta during the high school years or would like to know more about doing so. You’ll find many different home school philosophies and educational approaches represented. As well as a variety of religious or non-religious ideologies. Please be respectful of differing view points. Sherwood Park Homeschoolers This is a discussion forum for Sherwood Park and area homeschoolers. It is open to all individuals who are presently homeschooling or who are planning on homeschooling their children.It is a great way to plan activities and to connect with other homeschoolers in your area. Southern Alberta Wisdom Homeschoolers This group has been established to be able to contact other Wisdom Homeschool Families in the Southern Alberta area, that we might share info. on field trips, activities, concerns or other topics related to homeschooling. TJED In Alberta This list is for families living in Alberta who wish to implement a leadership model of education in their home. (Although we welcome members from other geographic areas as well!) The “Leadership Education” model is described in A Thomas Jefferson Education: Teaching a Generation of Leaders for the Twenty-first Century by Oliver Van DeMille. The hope is that we can reach out in support to each other, share ideas, challenges and joys, and continue learning alongside each other…and perhaps get together in real life!